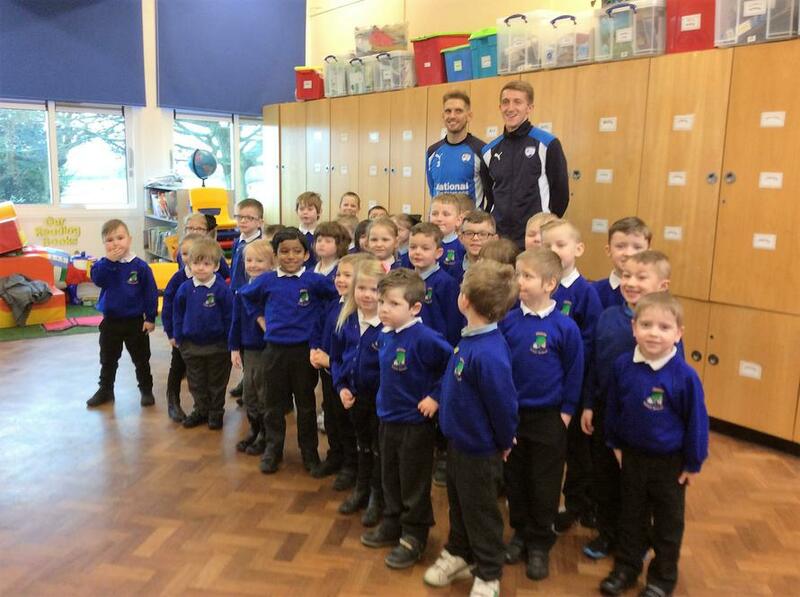 Tom Anderson and Dan Jones visited school today from Chesterfield Football club. 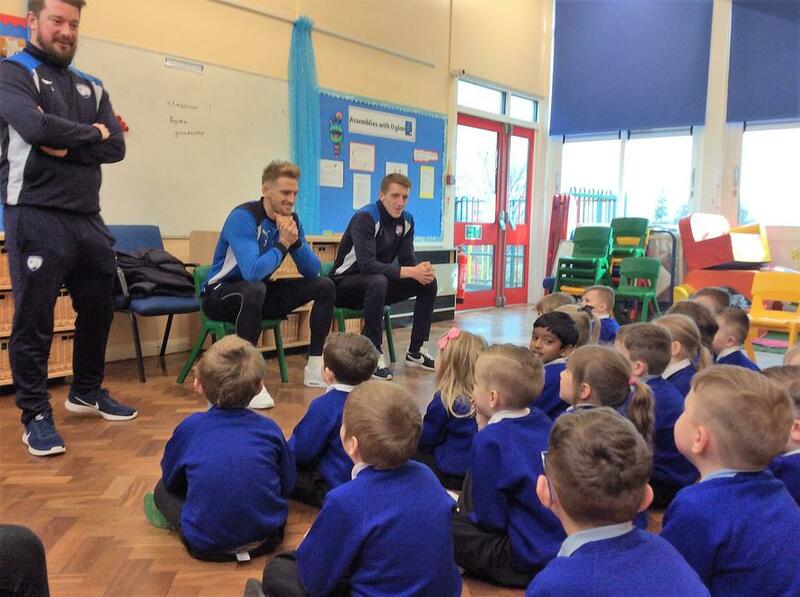 They talked to the children about healthy eating and the need to exercise and keep fit. The players said that they exercise for at least a couple of hours every day. They only have Sunday's off from training. The do weights a couple of times a week as they feel it is as important to be strong as it is to be fit. They swim after a match to cool down and help their recovery. They talked about the need to eat healthy food - their favourite vegetable being broccoli and their favourite meal being spaghetti bolognese or pasta bake. They cook their own food. They say they would probably get fined by the club if they were caught eating unhealthy foods before a match. They stressed the importance of eating and drinking the right kinds of food. They eat lots of berries like strawberries, blueberries and raspberries and only drink water before a game. Dan says he is the fastest runner on the team. When the players aren't training they are relaxing and thinking about their next game. When they finsh a match and win they are happy but they are already thinking about their next game. They like to be asleep by 10pm to make sure they have energy for the next days training or game.